Recent commissions include the ballet "The Path" for "DanceBrazil", which received its premiere in 2001 at the Joyce Theater, NYC; a new score commissioned by the Guggenheim Museum for their Fall 2001 exhibit on Brazilian Art; a new dance score commissioned by Denver based company "Cleo Parker Robinson Dance" as well as the NYSCA commission "Changes" for Quintet of the Americas. Highly active also as a film composer, Zarvos' work has been praised by Hollywood Variety for his "...affecting score, which neither drowns out nor underplays the steady sentiment". 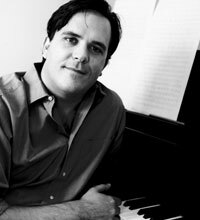 Among his recent scores are the music for the new release "Hollywoodland;" the hit comedy "Kissing Jessica Stein" (Fox Searchlight), Academy Award nominated short film "A Soccer Story;" a collaboration with Eumir Deodato on "Bossa Nova" (Sony Classics Pictures) and some music for several scenes in the Academy Award winner "Brokeback Mountain." As a recording artist Zarvos highly acclaimed albums include, DUALISM, with saxophonist Peter Epstein, LABYRINTHS, which landed on the CD NOW top 10 list of Jazz Albums in 1998 and most recently MUSIC JOURNAL. Concert appearances include Merkin Hall, Knitting Factory, Americas Society, Guggenheim Museum, NJPAC, AT&T Latino Arts Festival and New York Texaco Jazz Festival. His work has been profiled on CNN, CBC, NHK and NPR. International performances include conducting appearances with the Tokyo Symphony Chamber Orchestra in Japan. Zarvos started his classical music studies as a teenager in São Paulo with H.J. Koelreutter, the West German composer who also taught Antonio Carlos Jobim and many other of Brazil's greatest composers. His undergraduate studies include Berklee College of Music and California Institute of the Arts, where he received his BFA, and Hunter College where received a Master's Degree in Music.